So a while back I was asked to participate in the cover challenge with Canadian Scrapbbooker Magazine and although I did not make the front, I made the "another take on the cover section" with this cute layout. The fabulous buttons are by my little bit of whimsy and that awesome checker plated cardstock is in the Jenni Bowlin bright Core'impressions collection. It's adorable, Lydia! I was admiring all the great takes on the cover photo when I bought the issue last week! 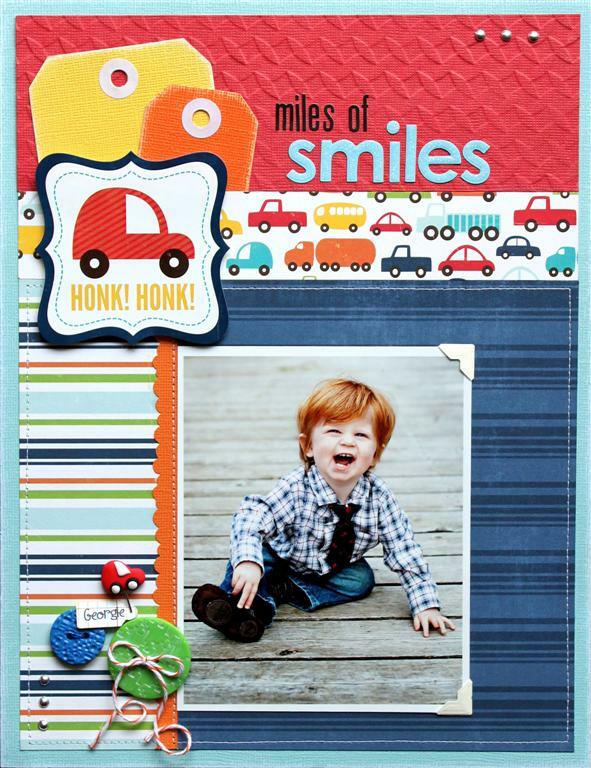 What a sweet sweet layout and the little guy tops it all off! Such a adorable smile, the title says it all. Congrts! and TFS! you know I LOVE this one!!!!!!!!!!!!!!!!!!!!!!!!!! !